Visual kei (ヴィジュアル系) means visual style in Japanese and is a movement where music and visual aesthetics are intertwined creating a shock to the viewer. The musical genres that can be attributed to this type of artists are very varied such as punk, metal, gothic, electronic, pop and others, being unclassifiable and avant-garde many of these bands. However, the main influence of the genre was the glam rock of the 80s, which also stood out for the extravagance when dressing and for colorful hairstyles. I couldn’t consider visual kei as a direct aspect of glam rock because it has roots native to Japan, like the kabuki theater, where men used to play both male and female roles. This is very frequent in the visual kei, many of these artists usually have an androgynous or completely feminine aspect, being mostly men. The Visual-kei is gestated with bands like X-Japan or BUCK-TICK that have had a good reception until today. Later this counterculture was diversified and the fans began to create labels to differentiate the different bands that were coming out on the scene. Some of these labels may be of a dark character such as eroguro-kei, where eroticism and decadence are the main source of inspiration for these bands, giving a sinister aspect to these artists or on the other hand the oshare-kei that has a more infantile, striking and colorful tone, where an exaggerated amount of accessories are used. Japan has always been characterized as a country that offers extravagant fashions and urban tribes out of the ordinary. This movement is one of the oldest and is one of the few that is intrinsically related to music, but not forming a genre but as its name indicates a style, between visual and musical. Some of these bands have had international recognition, such as Malice Mizer, which showed a Gothic facet of the style, composing songs that mixed Baroque, classical and metal music at the same time. Its members showed an androgynous and dark aspect and one of them, Mana, was a musician well known for his appearance and for his brilliant compositions that even managed to express themselves in theaters. 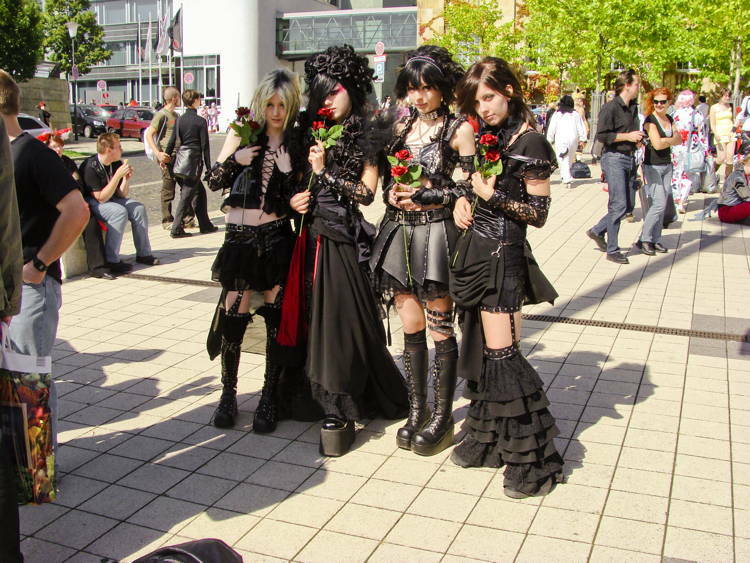 Later the visual kei began to expand much more and bands like Dir En Grey, the Gazette, Girugamesh, D, NIGHTMARE, Alice Nine and other artists, managed to capture the attention of the European and American public. 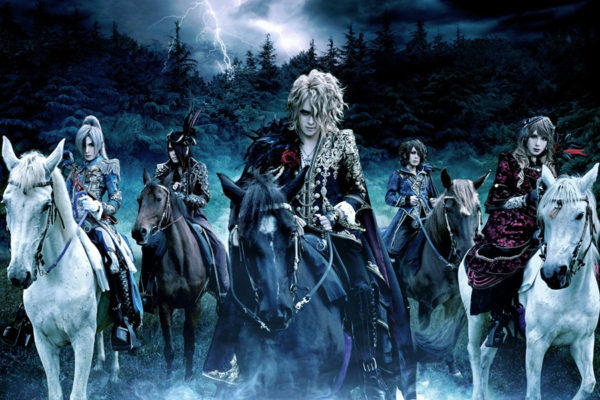 Versailles, one of my favorite bands of this style, offered a level of technicality in its compositions at a neoclassical level, being its guitarists Hizaki and Teru, famous for it, while his vocalist Kamijo delighted us with a masterly operatic voice. Unfortunately, this band split-up but there are still parallel projects of its members which are not far from the previous composition made in Versailles. The two most popular bands in the West related to visual kei are the Gazette and Dir En Grey, both with a sound that is often dark and fast, which have come out on many occasions from Japanese borders, approaching even Latin America. As the visual aspect is an important part of this counterculture, artists often offer multiple videos for each album or single released, having several videos in a short time and multiple concerts on DVD, making their merchandise, extensive and collectible. The variety of genres makes anyone can approach this style, since these artists usually make music with complete freedom, without ties or musical labels. For example, some of these bands can be considered avant-garde, due to the multiple genres they mix and the eclectic they can become. Currently, the scene is full of indie bands that usually disappear after a short time, making it difficult for the western fan to keep track of many of them. In the scene, there are usually not a large number of bands that enter the mainstream or at least manage to create music for a long period of time. All this scene was born as a response to the Japanese conservative society, making this counterculture irreverent and transgressive at least in its infancy. The freedom at the time of composing and dressing is very important for this urban tribe since they tend to be as original and eccentric as possible, to demonstrate that visual impact so longed for. Therefore, I consider that Marilyn Manson, for the second wave of visual-kei bands, was a strong influence, since this artist sought to create that commotion not only visually but also musically and is therefore known as one of the most bizarre and extravagant artists of that time. This style is usually seen with some reluctance in the West, especially in America precisely because of that extravagance since the average rocker or metalhead is not used to seeing bands in such colorful or bizarre scenes. However, there has been a growing boom and interest in these bands, especially in countries like United States, Mexico, Colombia and Chile where there are highly organized fans who always carry activities and blogs with visual-kei themes. There have been attempts at Western visual kei and I say attempts because they have generally been bands with poorly achieved aesthetics and a fairly low level of composition. Seremedy, a Swedish band, is perhaps the best result on the part of the western bands at the time of registering in this genre, thanks to the fact of having the support of a well-known artist in Japan called YOHIO. YOHIO, as a guitarist of the band, is inspired by the Hizaki aesthetic of the Versailles band, however, as a soloist, he generally maintains different facets. Another interesting aspect of this scene is the sub-genre angura-kei, where Japanese culture is palpable in these bands, taking as reference the kabuki theater and the Japanese feudal era. Bands like Kagrra or Onmyouza are known for offering this characteristic sound, with traditional Japanese instruments. 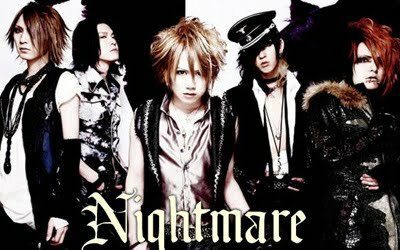 It’s frequent the association of this type of bands with anime openings like NIGHTMARE in the opening of Death Note with the song The world or the Gazette with Shiver. As we can see in this text, the union of different tendencies and the diversification of musical genres in visual-kei make this scene something completely fresh and free, not encasing itself in a certain sound but constantly expanding its way of playing, making many bands in constant renewal and experimentation. If you are a person with an open mind and willing to appreciate different sounds and receive an impact visually, either by the dress of the artists or by the video production then this genre will be for you. Some bands I personally recommend: Malice Mizer, Versailles, Dir En Grey, Nega, Nightmare, the Gazette, D, Lareine, Unsraw, Mejibray, lynch and Deluhi. Some of these bands are not active today but they are of excellent quality and a good reference for the style. Más allá de los tres o cuatro acordes usados frecuentemente en el pop, la música de vanguardia se propone romper con todos los paradigmas musicales establecidos, creando formas y estructuras complejas y difíciles de digerir pero dando un aire de frescura al panorama. En el siglo pasado, Arnold Schonberg creó lo que sería llamado dodecafonía, una estructura musical compuesta por doce tonos, la cual dio pie al serialismo, rompiendo así con el molde de la música académica convencional. El serialismo se compone de una serie de doce notas igual que en la dodecafonía pero estas no están sujetas a ningún parámetro establecido, dando pie a mayores libertades en cuanto composición. 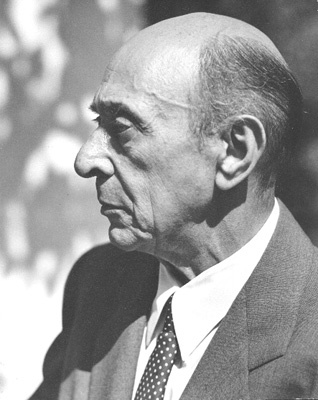 Estas mismas doce notas son elegidas por el compositor para que posteriormente se repitan serialmente, pero a diferencia del dodecafonismo, se puede hacer de distintas maneras y no respetando tono, timbre ni ritmo. Estas mismas notas pueden ser ejecutadas de 4 principales maneras: original, retrogrado, inversión y retrogrado de la inversión, de manera que haya una mayor libertad a la hora de componer, siempre y cuando creando esa forma atonal que se busca en este tipo de composiciones. El jazz, nace en respuesta a las restricciones usuales de la música académica, creando improvisaciones y disonancias poco usuales para el momento. Sin embargo, hay artistas de este género que han ido mucho más lejos, tratando de hacer mezclas inusuales y desviándose de la armonía convencional. Uno de los principales exponentes del avantgarde-jazz fue John Coltrane, creando improvisaciones que iban más allá del free jazz y las cuales eran muy difíciles de asimilar como se puede apreciar en su álbum Om lanzado en 1968. El saxo es ejecutado con total libertad pero de una manera disarmónica, sacrificando estética por innovación. Theo Jörgensmann, es un claro exponente del avant-garde jazz contemporáneo, siguiendo la línea de Coltrane, nos trae una propuesta interesante, rápida y técnica, con ese toque excéntrico y ecléctico que nos ofrece este movimiento. En el rock, bandas como Franz Zappa, Mr. Bungle y Buckethead, nos han traído propuestas muy interesantes y las cuales han sido una enorme influencia para posteriores bandas de metal progresivo o metal de vanguardia, trayendo esa muchas veces esperada innovación y refrescamiento a nivel musical. Un claro ejemplo de ello es la banda sueca Diablo Swing Orchestra, con la cual podemos deleitarnos gracias a sus múltiples mezclas entre las que se pueden destacar el swing, la ópera, clásica y metal progresivo. La banda fue rápidamente aclamada por la crítica gracias a su primer lanzamiento discográfico The butcher`s Ballroom, un álbum que recomiendo ampliamente. Hasta la fecha llevan cuatro álbumes y en cada uno de ellos mostrando una clara evolución como banda, lamentablemente para el último álbum, la vocalista operática AnnLouice Lögdlund, deja la banda para ocuparse de otros proyectos. Aquí podemos escuchar a la hermosa y poderosa voz operatica de AnnLouice Lögdlund en el album de Diablo Swing Orchestra titulado Pandora’s Piñata. Arcturus, es uno de los principales exponentes en cuanto a avantgarde-metal se refiere, la banda noruega ya daba claros ejemplos de ellos desde su primer lanzamiento, Aspera Hiems Symfonia, haciendo un Black metal bastante inusual, pero no fue hasta la llegada del álbum La masquerade infernale en donde la banda se decantó por un sonido completamente ecléctico y bizarro, produciendo posteriormente álbumes cada vez más complejos. Una de las bandas más comprometidas con la innovación y la vanguardia es Thy Catafalque, proveniente de Hungría, creando un sonido inclasificable con álbumes conceptuales y muy distintos entre sí. Desde su año de formación (1998) no han parado de innovar y me sería difícil hacer una descripción de alguno de sus títulos, aunque podría adelantar que son muy atmosféricos y densos. Angizia, es otra banda de Avantgarde-Metal que no los dejará indiferente, gracias a uno de sus vocalistas que utiliza una técnica llamada Sprechgesang o técnica de voz hablada, en donde el cantante hace una especie de narración con canto, sin embargo en la voz de Michael Haas (vocalista masculino de la banda) se expresa una atmosfera tétrica e histriónica, debido a que la banda nos recrea un show teatral a través de las voces. Esta técnica fue usada también por el vocalista de la banda Devill Doll, Mr. Doctor, dándole un tono aún más gótico y oscuro. La música electrónica no se escapa de la innovación y artistas como Björk ofrecen un espectro más amplio de lo que comúnmente se da en este tipo de género. La artista siempre está en la constante búsqueda de algo nuevo que ofrecer, atreviéndose a mezclar sonidos provenientes de la naturaleza directamente o creando un álbum entero solo con su voz, creando melodía y ritmo con la misma. Björk ha sido una de las artistas experimentales más influyentes en tiempos contemporáneos y me atrevo a decir que con cada lanzamiento se supera a sí misma y pone a prueba nuestros oídos con la frescura de cada uno de sus álbumes. Con una manera de expresarse totalmente distinta, Igorrr, provenientes de Francia, nos traen una música electrónica mezclada con metal e inclusive con canciones que incluyen chanson pero de una manera extrema, con base breakcore. Debo admitir que la primera vez que escuche esta banda no la asimile completamente, hay que darle un par de escuchas más para poder entender la intención (bien lograda) que nos propone la banda. Así que decidí escuchar uno de sus álbumes llamado Savage Sinusoid que, para el que se atreva a escucharlo podrá toparse con diversos generos musicales como: ópera, clásica, death metal, black metal, breakcore, baroco, trip-hop, chanson y demás sonidos. La música está en constante evolución y considero que siempre hay un momento oportuno para darle oportunidad a bandas y proyectos que se atreven a romper con las estructuras impuestas ya que el arte de por sí, se trata de tener la libertad de expresarse sin ningún tipo de atadura. Las cadenas que la industria discográfica está imponiendo sobre la música deben ser cortadas de raíz y nosotros deberíamos de atrevernos a dar un paso hacia adelante y apoyar a talentos que tratan de romper esas mismas cadenas, innovando y creando atmosferas envolventes con sonidos fuera de lo común, para que de esa manera podamos sumergirnos en nuevos mundos a través de nuestros oídos. Los títulos que nos traen estos artistas por lo general son infravalorados, debido a que por regla general el público exige temas más diluidos y por eso está en nosotros en descubrir nuevos sonidos y a atrevernos a experimentar con nuevos conceptos musicales. Escritor de ciencia ficción, melómano y adepto a la divulgación científica. Apoyando la cultura Cyberpunk y DIY. Amante del cine independiente y de las buenas producciones de ciencia ficción.